I’ve been pushing myself to getting back on a CONSISTENT workout regimen as I continue to heal. It’s tough cause once I focus on my diet and sleep, exercise gets put in the back burner. And when one has Fibro, it is a MUST to be on a consistent exercise plan. A multi-disciplinary approach has worked for me in the past. But it takes a lot of discipline which I must confess I sometimes lack. Working in the kitchen has replaced my workout regimen. Not to mention how FUN it is to make the grawnola! Okay, I admit, I geek out over the whole process. The science behind it is just so fascinating and intriguing to me! My ADD just kicked in. Hahaha! Back to the exercise 😉 Although I move around a lot in the kitchen, it is not enough. So returning to a disciplined workout regimen I go! In an ideal world, I would call my Personal Trainer and she would keep me accountable and we’d work together. But that ain’t happening anytime soon as it’s not in my budget. 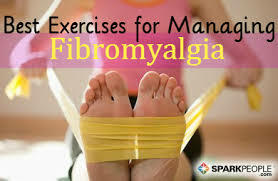 Thankfully, there are support groups out there that I can benefit from as they give tips on safe exercise for those with Fibromyalgia. One website I trust is livingsmarterwithfibromyalgia.com. She gives safe and proven techniques that she has actually used on herself because she also has Fibromyalgia so I totally trust her recommendations! Previous Previous post: SUJA known about you a long time ago!